He created one of the greatest observatories in history, over a century before Galileo crafted his telescope. Unfortunately, both the observatory and the Timurid ruler who built it were destroyed by Islamist fundamentalists. Toppled by his son and killed by the rabble, Ulugh Beg’s story is the stuff of Sophocles, but his writings and scholarship would inspire astronauts in both the Soviet and American space programs. 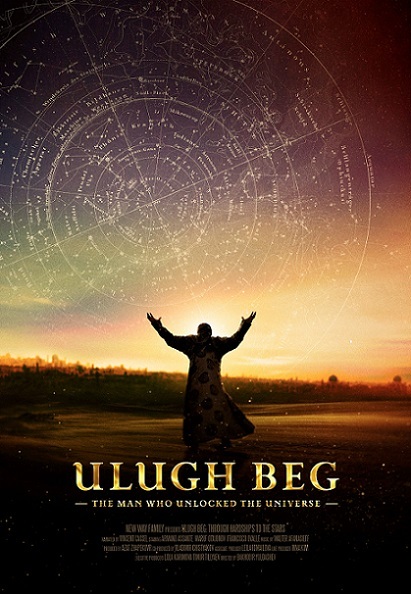 Tribute is paid to the towering scholar and short-lived ruler in Bakhodir Yuldashev’s Ulugh Beg: The Man Who Unlocked the Universe (trailer here), which starts streaming tomorrow on Amazon Prime. Ulugh Beg is a major reason why the Samarkand old town center is a UNESCO World Heritage site. He built the imposing Registan Madrassa as well as the Observatory. Under his influence (during his father’s rule), Samarkand became the center of Islamic scholarship, particularly with respects to astronomy and mathematics. Alas, Ulugh Beg’s ascendency only lasted two years, and the son who usurped him had an even shorter tenure. While it is debatable whether Ulugh Beg contributed any truly original theories to the astronomical field, his star charts, as well as his sin-and-co-sin tables remain voluminously extensive and incredibly accurate. He clearly had a genius-level intellect and was passionately committed to supporting the sciences, but the times he lived in were not as enlightened as he was. Unlocked is a weird hybrid documentary that incorporates dramatic vignettes, as well as traditional talking head commentary. It is hosted by French actor Vincent Cassel, who looks like he is auditioning for a reboot of In Search of. 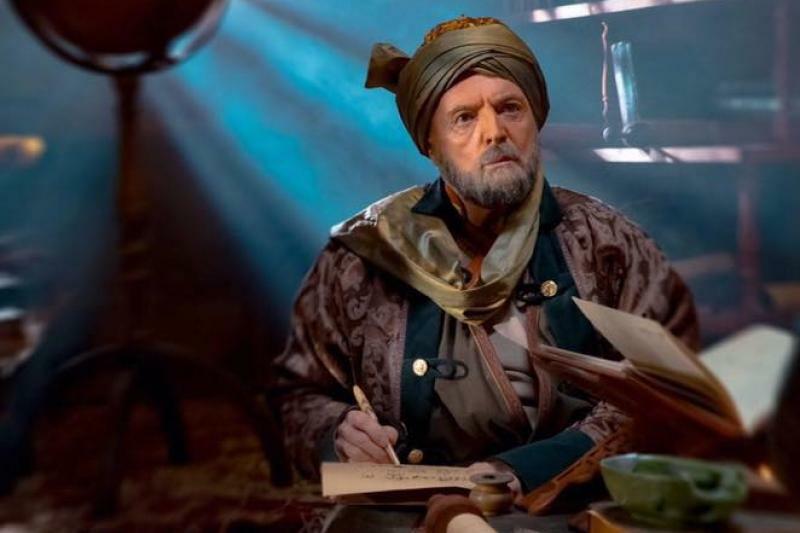 The mature Sultan Ulugh Beg is played by Armand Assante, who has a big presence that suits his mostly dialogue-free scenes. Frankly, it is highly unlikely anyone else will amass a list of credits that includes Mike Hammer, John Gotti, Friedrich Nietzsche, Odysseus, and Ulugh Beg, so give the man all his due credit. Granted, Yuldashev is more than a little bit inclined towards hagiography, but Ulugh Beg is a truly fascinating figure. There is also plenty of striking footage of Samarkand’s grand architecture and monuments. Most viewers will learn a good deal from the short doc, but it is also a rather notably odd curiosity piece. Worth thirty-eight minutes of your time, is available on Vimeo VOD and releases tomorrow on Amazon Prime.